For the Folk and Country Band from Los Angeles, California. please use The Castaways (2) . For the british Rock Band please use The Castaways (3). For the american Doo Woop Band please use The Castaways (4). For the New Zealand Pop & Folk Band please use The Castaways (5). For the Hip Hop Group please use The Castaways (6). 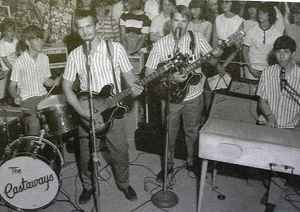 For the american Rockabilly Band please use The Castaways (7). For the Soul Group please use The Castaways (8). For the american Garage Rock Band from Lake Charles, Louisiana please use The Castaways (9).